Carnival Cruise Line said that for the first time it will offer a series of cruises from San Francisco aboard Carnival Miracle operating a diverse schedule that includes four- to 15-day voyages to Alaska, Hawaii and Mexico in 2020. Following strong reception to a previously announced program from San Diego in 2019, Carnival Miracle also will return to the port for a winter 2020-21 schedule of three- to 15-day voyages. These deployments further bolster Carnival’s position in the West Coast, where it says it will soon be carrying more passengers than any other cruise operator. That number will continue to increase with the debut of Carnival Panorama from Long Beach in December 2019, the first new Carnival ship on the West Coast in 20 years. With the addition of San Francisco, Carnival operates from 19 North American homeports, providing a cost-effective means for its guests to get to and from their cruises. Roughly half of the U.S. population is within a five-hour drive of a Carnival homeport. 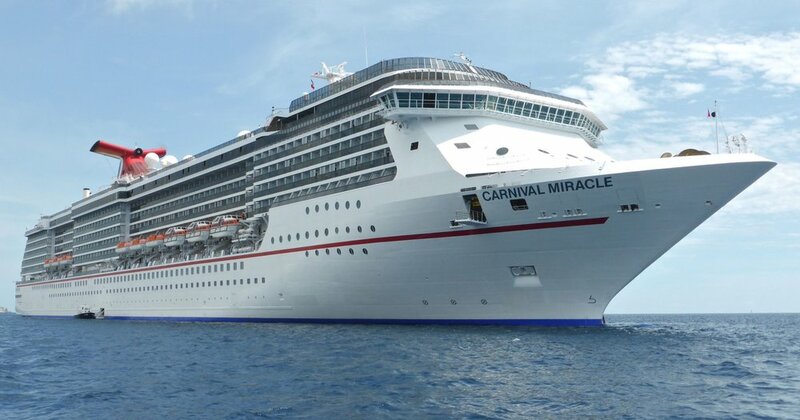 Carnival’s first scheduled cruises from San Francisco, which debut March 19, 2020, aboard the 2,124-guest Carnival Miracle, will include four-day long weekend voyages to Ensenada departing Thursdays and returning Mondays throughout the spring and summer, as well as five-day and six-day cruises to Ensenada, Catalina Island and San Diego in the spring. The ship also will offer a summer schedule of 10-day Alaska cruises round-trip from San Francisco featuring a variety of popular destinations throughout the state, including Juneau, Skagway and Icy Strait Point, as well as opportunities to visit Sitka and cruise Tracy Arm Fjord. There’s also a special one-time 11-day Alaska cruise departing Aug. 9, 2020. A 15-day Carnival Journeys Hawaii cruise round-trip from San Francisco departs April 16, 2020, calling at destinations across Hawaii, including Maui (Kahului), Honolulu, Hilo, Kona, and Kauai, as well as a stop in Ensenada. Prior to its West Coast deployment, Carnival Miracle will offer a 17-day Carnival Journeys Panama Canal transit March 2-19, 2020, calling at Santa Marta and Cartagena, Colombia; and Limon, Costa Rica, prior to the Panama Canal transit followed by calls at Puntarenas, Costa Rica; Puerto Quetzal, Guatemala; and Cabo San Lucas, Mexico. Carnival Journeys cruises offer local culinary and entertainment experiences as well as special activities, including a 1980s-themed Throwback Sea Day.